Sethuraman (Suriya) is a brilliant scientist who is in his final stages of experimentation to create a device that would enable time travel. His wife (Nithya Menen) believes that he has achieved enough and should drop the project, expressing her fear that hardship would come to them and their child. Sethuraman’s equally brilliant twin brother, Athreya (also) Suriya wants the device so badly that he is prepared to kill for it. 26 years later, the story moves to Chennai where Mani (Suriya again) runs a watch-repair shop with the person he calls mother (Saranya Ponvannan) When he discovers the key to the mysterious box that has been in their possession since their meeting 26 years ago, he soon discovers the power of the device, eventually making him the target of his evil uncle. This is one of Surya’s best acting performances, particularly in his role as the evil Athreya. His gait, expressions and voice modulation gel together in a credible portrayal of a dreaded villain who is not larger-than life. Samantha Ruth Prabhu does well in her undemanding role but Saranya Ponvannan once again shines brilliantly as the woman who adopts Mani as her own. Her performance in the second half is electrifying. Nithya Menen is in a short but impressive role as Sethuraman’s wife. Sathyan is not as annoying as he usually is while Girish Karnan and Mohan V Raman are the best of the others. The film, for the most part, follows a crackling pace with many twists and turns in the story and many knuckle-whitening scenes. Perhaps some of the scenes with Samantha Ruth Prabhu and Sathyan could have been trimmed to make the pace racier. The songs also act as major speed humps in the cracking narrative. The film is creatively crafted to support the many twists in the screenplay. There is plenty of wit and humour of various types and the dramatic portions are powerful without being overdone. From the opening seconds of the film to the end, the film’s cinematography screams out for attention and admiration. The most obvious examples are in the songs but even those who are not initiated in the nuances of techniques in cinematography would marvel at the brilliant use of light, filters and very unusual angles to make almost every scene a work of art. Coupled with creative set designs, this film provides a visual feast. A.R.Rahman scores the music in 24.I did not particularly like the songs of 24 before seeing the film and that opinion did not change on seeing the film. The film deserved better songs but would also have been a far superior film without any songs at all. Rahman and his assistant do come up with a brilliant background score that includes the catchy theme music. Vikram Kumar has handled the science fiction theme with sensitivity to those who do not enjoy science fiction by ensuring that his characters and depicted events are credible – and this is no small achievement in a film of this genre. 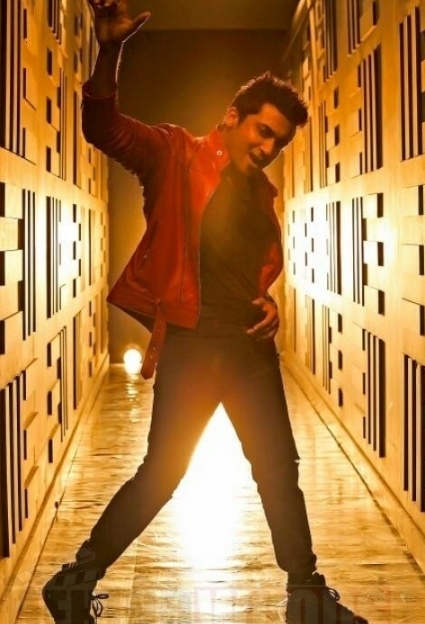 The fact that Suriya chose to produce this lavish venture himself shows the confidence he had in the film. This combination of two talented people has created a product that is of international standard. It is unmissable entertainment and an ideal vehicle to market Tamil films abroad. This page has information about REVIEW OF 24 FROM SOUTH AFRICA.